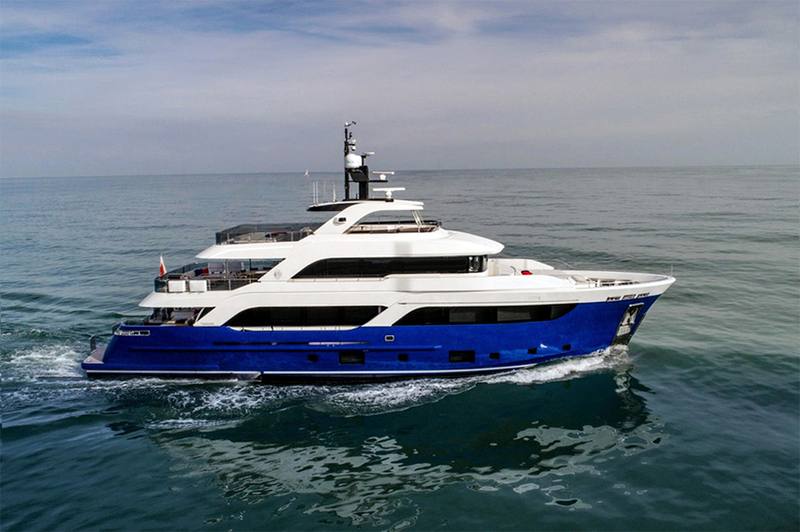 Motor yacht Gatto is a fully custom 105ft explorer vessel built with a steel hull and aluminium superstructure. 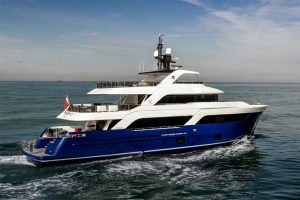 The aim and brief for this yacht was to create a design that not only holds true to the ethos of explorer style but combines classic yachting lines that will stand the test of time. Creating a design that fuses these two criteria’s was a big challenge. 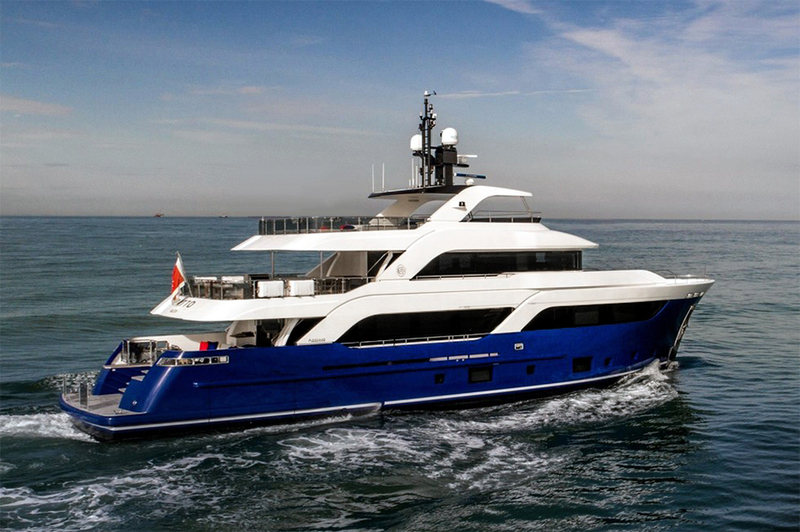 The client was initially attracted by a robust and reliable explorer hull after experiencing one of our previous projects, to create the feeling of a yacht that can explorer the oceans in comfort we designed her with a high and dominating bow that was then beautifully fared to soften this feeling. 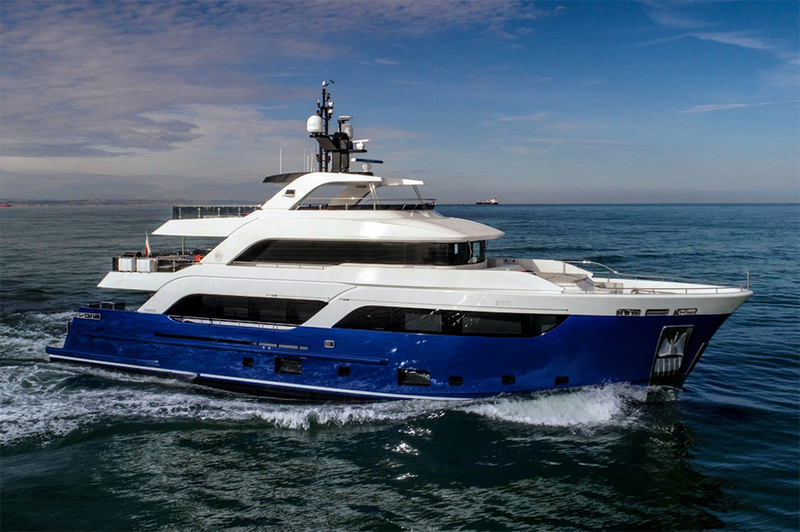 The sheer line of the bow then smoothly flows down the yacht creating the classic sophisticated yachting style. This flowing feature was then replicated in the design by incorporating the fashion plates that effortlessly glide to both the main deck and upper deck from above. The inclusion of the fashion plates had challenges of their own. The main challenge was creating a generous passage past the sculpted fashion plates whilst keeping them thick enough that illustrates the strength of this explorer yacht. 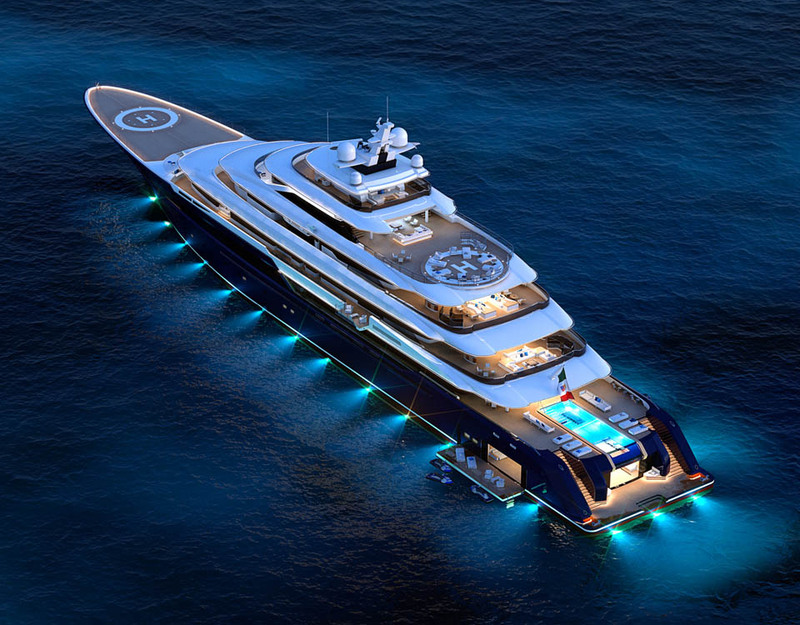 In order to emphasise the fashion plates we created continuous black glass on the structure behind that establishes a contrast as well as gives the yacht a modern feel. We then incorporated a high bulwark either side of the wheel house creating the effect of strength, power and security. We then had to work on easing this strength by smoothly incorporating the wing stations with a gentle curve to the bow which was replicated on the superstructure above. 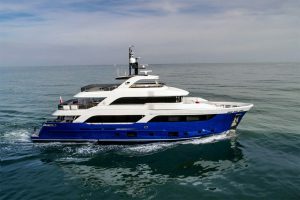 The use of colour for this yacht was also very important, we created the colour scheme that enhanced the cohesion of the flowing fashion plate design statement, creating this scheme was also designed to give the yacht a feeling of length by lowering the profile of the bow. 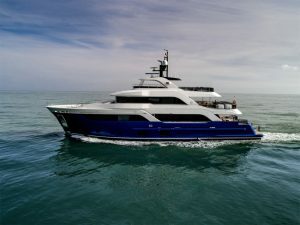 The yacht has been designed with accessibility and comfort as a key aspect, with the transom designed with a transformer on the swimming platform with large central stairs leading to the main deck aft cockpit. 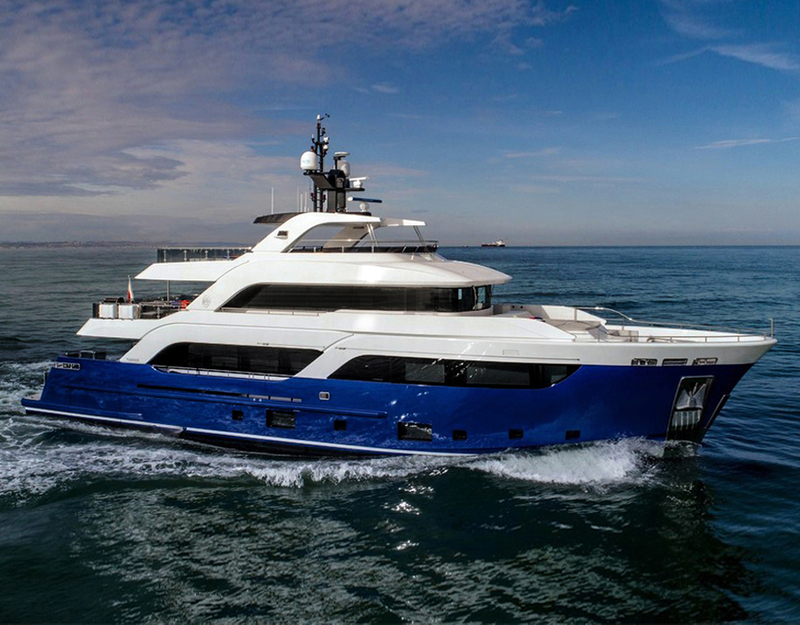 We worked closely with the interior designer to create large windows on the main deck and upper deck. With the main deck lounge having 3 windows central in the space 1800mm in length and 1100mm in height. Forward on the main deck we also added a large window centred in the owners office with a dimension of 1800mm in length and 920mm in height. In the owners cabin we worked hard to also incorporate a single large window a massive 1800mm in length by 900mm in height. The fixed exterior furniture is located forward of the wheel house with a large sunbath area which has a passage behind for a good work flow for the crew. 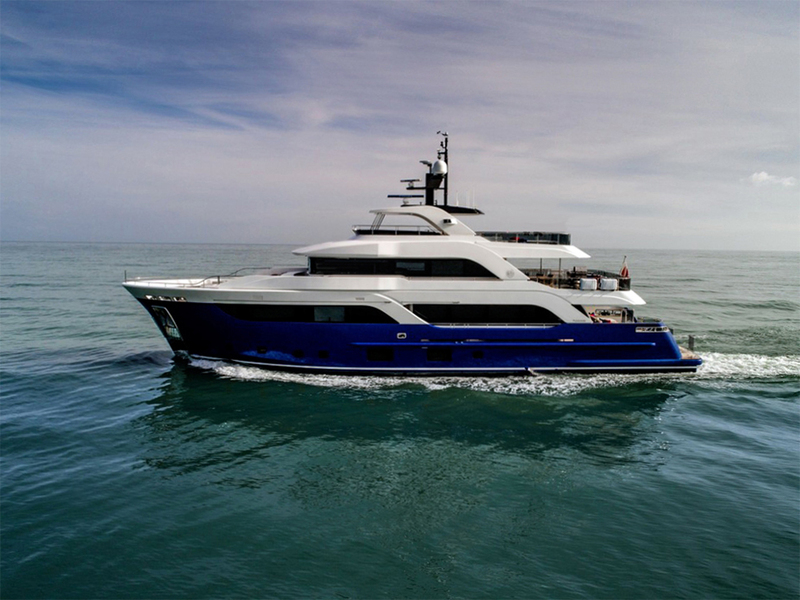 For the sun deck we have designed her with completely fixed furniture, with a 2x2 meter infinity pool which has glass panels both inside and on the exterior structure to create great views. Either side of the pool we have raised sun beds which flows into a u-shaped seating area. Opposite we have designed a custom bar set for 3 stools, which is covered by the hard top. The exterior finishing’s are done with light fabrics and light teak wood to match the interior feel.